Yardage - Whole Yards Only Note ! Shipment of an order quantity exceeding the 22 Yards we have in stock will be delayed 7-10 business days while we resupply. In stock yardage is typically shipped within 2 business days. 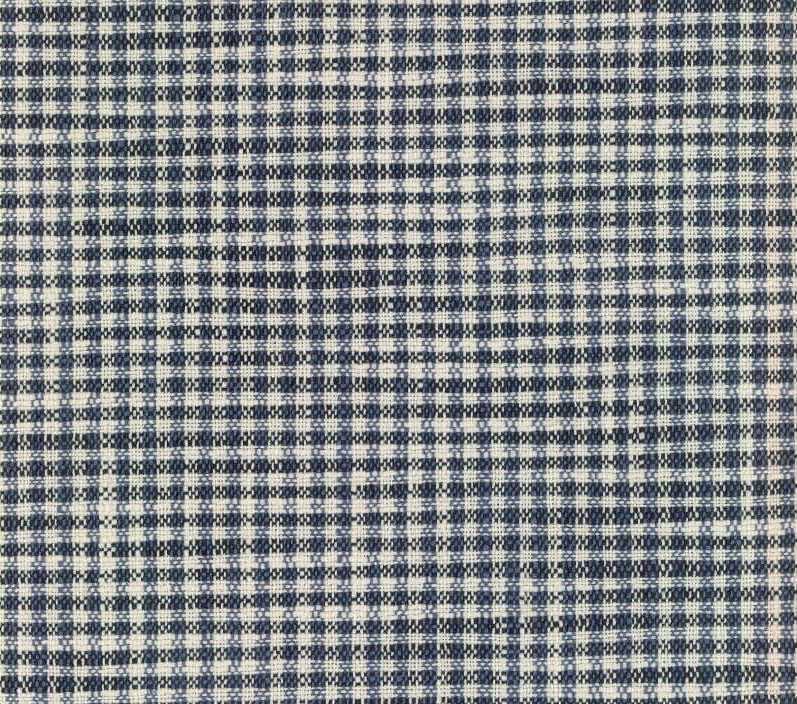 Nix Nautical is a woven, yarn dyed mini check design in Deep Navy and Off White with squares that measure approximately one quarter inch. This timeless pattern is wonderful as a coordinate to other woven patterns, prints and leather. Nix is suitable for drapery, curtains, cornice boards, pillows, cushions, table toppers, bedding, headboards and furniture upholstery.